The model uses a packing script to compare the effects on agent behavior by noise and a sound signal. On the left, each agent’s diameter is dictated by a random noise function. On the right, each agent’s diameter is linked to a specific frequency range of the sound file. 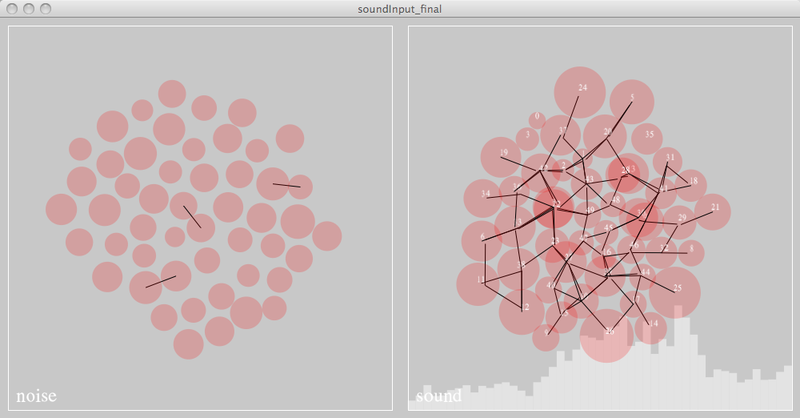 Through this model, patterns in the music can be analyzed through the effects it has on the agents’ behavior. This entry was posted in DNYBLE, noise, swarm. Bookmark the permalink.